Although relatively new to the BioZyme® family, Salem Veterinary Services in Salem, South Dakota, has seen tremendous success since joining the network of dealers in the fall of 2016. What started as a small order to sell some Vita Charge® boluses in the family-owned vet clinic has grown to moving into their garage, and now a 48×60 foot building is under construction to serve as a warehouse for their products to meet the producer demands in their area. “I was concerned when Dennis Delaney told me we had to buy a pallet of product at a time. I thought 50 bags is a lot,” said Carie Stiefvater, who manages the BioZyme dealership. The Stiefvater family raises a variety of animals including Angus and Hereford cattle, sheep, goats, chickens and horses. They don’t sell anything to the customers in the vet clinic that they haven’t used and seen positive results with. “Our clients like to see us use a product first. We will typically use a vaccine for three years before we will sell it,” Carie said. 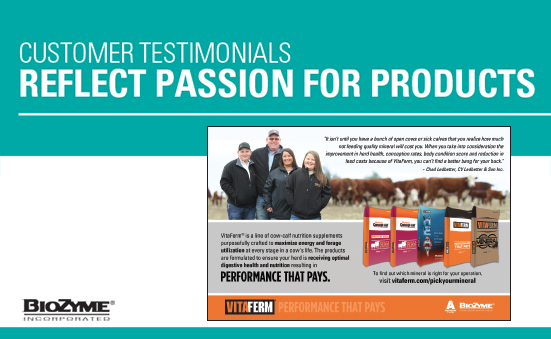 Last fall, their two oldest daughters ran a trial using the VitaFerm® Sure Start® Weaning Program. Since the Stiefvater family calves in May, after most of their clients are done calving, they typically wean October 1. 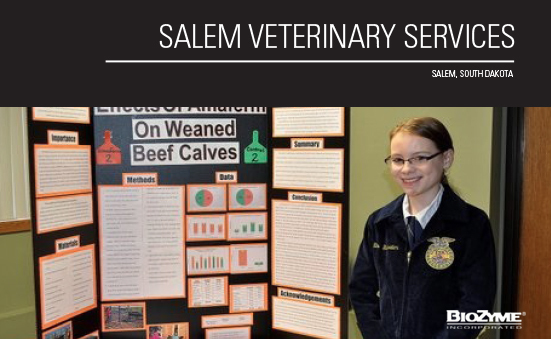 Last fall, they separated eight head – four Angus and four Herefords – of the same age for a feeding trial that ultimately finished in the top three in the state FFA science fair project for seventh grader Ella. She will find out in late April if her project garnered the first prize and will move on to national competition. Ella and her older sister, Hadley, a freshman, conducted the month-long trial with two groups – one that was introduced to the Amaferm® advantage, and a control group, without Amaferm. The animals were randomly sorted the first day of the trial by which animal came down the chute. Every other one was tagged with an orange tag and would be part of the Amaferm group and received the Vita Charge Drench; the green-tagged calves were in the control group. Animals were kept in individual pens, and hay and feed were weighed out individually twice daily with all animals eating the same diet, except for the orange-tagged animals, which had the Stress Tubs in their pens. Each week the animals were weighed, and their growth was recorded. And at the end of the study, the four animals that had Amaferm in their diets outweighed the control group by a total of 90 pounds combined. Although Ella had extra expenses in separate pens and individual tubs, she calculated that after expenses, she put $22 more profit per calf in her pocket from the calves fed Amaferm. This is just one example of a feeding trial that the family has conducted, with plans to conduct more in the future. The trials work great for this home-schooled family, which also includes brother Colton, a fourth grader, and littlest sister, Skylar, who is four. Carie said they can incorporate the trials into several areas of curriculum including math, where they calculate break-evens, rate-of-gain and net worth; science, where they learn about microorganisms and the purpose of vitamins and minerals for both humans and livestock; and English, where the students must write papers and learn public speaking. As an example, Ella presented her study findings to vet-clinic customers in the winter months following the trial. During the two-week period leading up to the state FFA competition, Carie said she would give her presentation 2-3 times a day. “It is a great sales tool while teaching my kids about public speaking. She would present to producers, breeders, fellow veterinarians, Extension agents and anyone who would listen,” Carie said. And the kids also help out at the vet clinic, where their dad Mike is the solo practitioner. In addition to three employees who are like family, Salem Vet is truly a family operation. As the kids were learning more about BioZyme and its products, they also became aware of the Action Awards. Carie said a Vita Charge show box caught their attention immediately, as they are currently using a wooden show box that belonged to Carie in her younger days. She said they need 4,000 points to earn the show box, and though she hasn’t looked lately, she was almost certain they were nearly to the half-way mark, only in the fourth month of the year. “A show box they earn will have a lot more value in it from the experiences they have gained.” Carie said, noting one of their next big marketing pushes will be to promote Sure Champ® to all the young exhibitors in their area. Until then, the Stiefvater family will continue to use the products, test the products and tell others about the great success they have seen. I know what I heard is true. John Doe told Jim Smith who told Bob Black all about his latest news, and I heard it from Bob at the local coffee shop. Yes, word of mouth does spread like a wild fire, but if used properly, word of mouth and customer testimonials can be great marketing tools that share not only good information, but passion for our products. Chris Kyle, ASM in Arkansas, Louisiana and northeast Texas, says the value in customer testimonials is that the person reviewing or talking about the specific product or experience has nothing to gain by doing so. He or she is merely bragging about something positive that has happened on the farm or ranch and wants everyone else to know about it. “The people who are talking about our products have nothing to gain; they have achieved some sort of success in their area first, and want others to know they have that feather in their cap,” Kyle said. Most customers are glad to give a review or testimonial. You can ask for it written, take notes as it is given orally or even use the technology that you have on hand to record a video. “The customers don’t hold back. I ask them how a particular product is doing and they will start talking and telling me about all the good things they have happen with their animals’ health,” Kyle said. Kyle said that customer testimonials are a great way to reach potential customers, and even though the days of chatting at the coffee shop still exist, more and more dealers and producers have started using social media as a marketing tool; a very quick way to spread customer testimonials and praises. Another thing Kyle does is shoot a short video – typically 30-seconds – on his iPad or phone of the customer talking about the products. The visuals of their facial expressions and tones of their voices help exude the passion they have for the products they are talking about. He then shares those videos with the marketing team to post to a social media site. One of the greatest things about social media is the reach that it has. Once a post is made, any individual or dealer can like, comment or share that message, which can be shared again. An example is a blog post that is posted to Facebook on Monday morning and by Friday, has 350 likes and 50 shares. Fifty other companies or individuals have shared that link to their own pages, making the information spread much more quickly than the hearsay at the local coffee shop! Customers who have achieved success will be passionate about the products they are talking about. It is important to remember those success stories when you have a producer meeting or customer appreciation event. If you know of customers who have had great success with the products ask for them to share their experiences with the crowd you have gathered. Their real-world stories and experiences that their neighbors might also encounter will definitely help make a sale. Finally, when sharing testimonials with customers, Kyle says he drops names of big-time, successful producers in the area. If he knows someone who runs 500 cows has had good results with a product, he might mention their name to someone down the road with fewer cows that is undecided about trying a BioZyme® product. He knows the first call that will be made when he leaves is to that neighbor, whose name Kyle mentioned. Producers are passionate about the products that work for them. Use that passion through customer testimonials as one more resource in your marketing tool kit. You have likely heard the saying, “Chose a job you love, and you will never have to work a day in your life.” That quote carries a lot of weight, and hopefully if you are reading this, you love your job. You might not like your job every day, but hopefully you chose this career path because you are passionate about agriculture and the people involved in our industry, and you want to help them keep their livestock healthy. 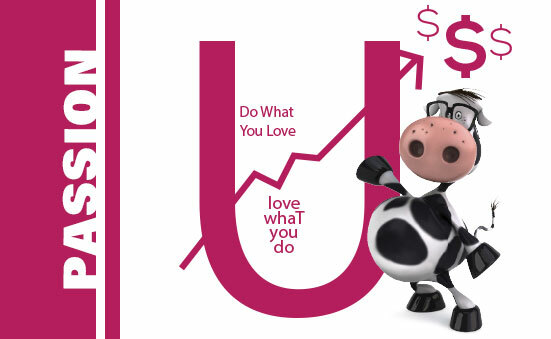 Did you know that you can invest your passion into your business? If you truly are passionate about what you do, and we know you are, you can take that passion to build your business, promote your products and build relationships with customers that will help create sales both now and in the future. Bob Parsons, the founder of GoDaddy said, “Never stop investing. Never stop improving. Never stop doing something new.” It is vital to your business and its success, and ultimately your bottom line to follow those three simple pieces of advice. And it can start with investing your passion into your business. How can one invest passion? One way is by showing your customers you truly care about them. Follow up your sales with customer calls to make sure the customer is completely satisfied with his or her products. Ask if there are any questions, and furthermore, have a conversation about the customer – his or her operation, family or hobbies. This will show that you are interested in their life, and not just making a dollar. Customers are more likely to do business with those who show an interest in their lives. Another way to show your passion for your business and share that with customers is to host producer meetings or open houses. Share your passion for the business by highlighting new products in an open house or providing timely information to your customers at a producer meeting. Don’t think of the cost of the meal or refreshments as an expense, but rather an investment in your business and the people who support you. 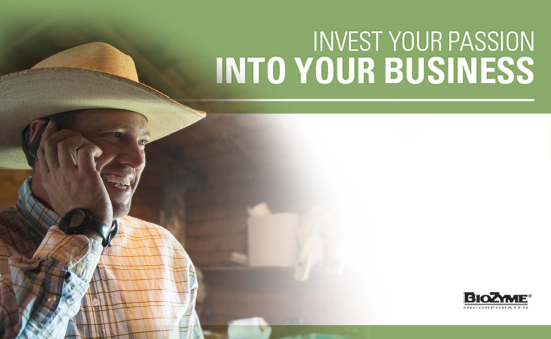 Are there other ways you can invest your passion into your business? Perhaps you have a large show animal customer base; you can invest in those young people by hosting a feeding and fitting workshop or sponsoring an award at a local show. Offer to have the local FFA chapter have a meeting at your store so they can learn more about your products and at the same time, you will get to know more about the youth in the area. And never underestimate sharing your passion via social media. Does your company have a website, blog, Facebook or Twitter account? You can share the passion you have for your business with the masses with just the click of a button. What will these investments bring you? Hopefully, the enthusiasm you show to your customers, employees and others will be contagious. They will see how much you care about the brands you sell and the results that are produced. The investment in your time and energy should return dollars to you in sales. Host events that will make you money, love your job, and you will never work a day in your life. In the world of sales, you are going to hear ‘no’ more often than what you ever imagined. Potential customers can think of many excuses not to buy your products. But do you want to know how to turn that ‘no’ into a ‘yes’? Find their passion and make that your new target. Selling is all about building relationships, and one of the best ways to build relationships with others is to find a common bond – something you and the customer are both passionate about. Once that person learns you are sincerely passionate about the same thing, the relationship is strengthened, and chances for a sale increase. Take for instance, man’s best friend, the dog. You might be completing an order for one of your larger cow-calf producers, and you notice there are a few ranch dogs hanging around the barn. Have you ever mentioned to this customer that BioZyme® also offers a line of dog food and supplements? Learn the dogs’ names, and ask the cattle producer if he or she would be interested in getting a bag of food for the dogs. Most dog owners treat their canine companions like royalty, and if they can get their dog food from a trusted source where they also get the supplements that help keep their cattle healthy, that is a win-win. How do you find your customers’ passion? Visit with them one-on-one! Ask questions and get to know them. Look around their farm or ranch. Did you notice a pen of horses? Do young lambs and pigs suddenly appear in the spring for their kids’ 4-H and FFA projects? And, have you looked at any of their social media outlets? Before you even call or step foot onto their place, it is always good to do a little pre-work on social media. Pictures and posts will tell you almost immediately what they are truly passionate about. Once you find out what your customers’ passion is, take an interest in it. You might find that you share a common interest for horses. Talk about your love for horses and ask specific questions about their horses while taking notes about their responses. If you notice they have young children who are working on show lamb projects, ask about that project. Even if you don’t know anything about lambs, you will learn something new, and seem genuinely interested in the customer, and even more importantly their kids. Finding their passion beyond what they do for their livelihood, could potentially gain you a new customer or allow you to offer more of your product lineup to your current customer base. To be great at selling, you must first be passionate about the product(s) or service(s) you’re representing; and secondly be passionate about the people you serve. This type of passion is something a dealer can rarely fake. A passion for what you’re selling coupled with a passion for helping your customers make the best decisions for their operations will come across in everything you say or do. A sales person with passion truly wants to understand the customer and their unique needs and then sculpt how a product or service fits into that picture. When a sales person is fully invested in the products he or she represents, that passion can be contagious for customers. Passion permits a sales person to go after the best possible outcome – even if the best possible outcome for the prospect is not the product he or she originally had in mind. One of the great things about a passion for selling is that it can help dealers maintain a full sales pipeline without as much effort as those who lack such a passion. Why? A passion for selling turns customers into advocates (see page 6) who will recommend the dealer and their products to others. Word-of-mouth marketing continually sends new leads who are interested and ready to buy to the dealer. Having these customers who are also willing to provide testimonials and refer other customers, is priceless in any industry. Persistence is always a watchword in sales since customers will not always be quick to pick up the phone or return a call. Great dealers who have a passion for selling have an advantage here because that passion helps them overcome such barriers and be persistent in pursuing the sale without becoming a hindrance to the potential customer. 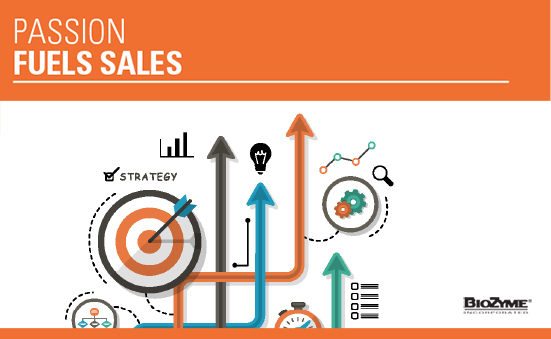 With passion, great dealers can come up with creative solutions to reach their prospects and ultimately make the sale. When dealers have a passion for selling, that passion often makes itself known through continual improvement. No dealer is perfect, but not all dealers are willing to make the commitment of time, money and energy it takes to reach the next level. Those who have a passion for selling are willing to make this commitment not only because it is the best thing for their careers, but also because it is what they want to do. That is passion for selling in action. Posted on February 1, 2016 June 13, 2016 Categories 3 Keys to Better Business, Business Resources, Business Topics, Passion, Tell Everyone! MarketingLeave a comment on Don’t Sell. Help. 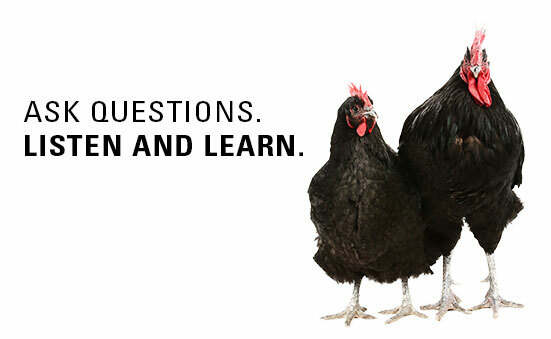 First, tell us what you feel separates your business from other feed supply operations? There are not a lot of feed mills in our area; they’ve become a thing of the past. Regardless if our door closes at 5 p.m., I stay until the job is done, all deliveries are made and all the customers have the product they need. How do you keep your to-do list? I run a log each day by way of a spiral notebook at my desk. At the end of each day I update it for the next business day. What everyday thing are you better at than everyone else? When the telephone rings in the morning, I say “Good morning, this is Leo.” When it rings in the afternoon I say, “Good afternoon, this is Leo.” When it’s evening I say, “Good evening, this is Leo.” I try to be the good morning, good afternoon and good evening for them. work, etc., so I try to help other people out. I forget about my problems and take on their problems. It makes me feel good. other places. I also read the Angus Journal and Hereford World. How do you recharge? By going home and getting six to seven hours of sleep a night. I love my Mountain Dew while I’m driving. That recharges me. What is one area you’d like to improve in regarding business? Advertising. I’m currently working on that. We are putting up a nice sign on the highway that will change daily or weekly to display different specials we are running. Next, I’ll start putting ads in newspapers. I feel more people need to know Cottor Farms is here to help. Describe your ideal customer. All of them. What’s the best advice you’ve ever received? My ag instructor said to me years ago, “Your English teacher will say, ‘Leo can sell ice cubes to Eskimos.’ But I say, “No, Leo would sell them a wood stove.” I wouldn’t sell a customer something they don’t need. Why do you love this business? I’ve been in the cattle business all my life. It’s my passion. I milked cows, and the day came when I didn’t milk anymore. Then I wanted to expand my beef operation. I have and I can help others with their operations. So my dream has come true. Ask Questions. Listen & Learn. 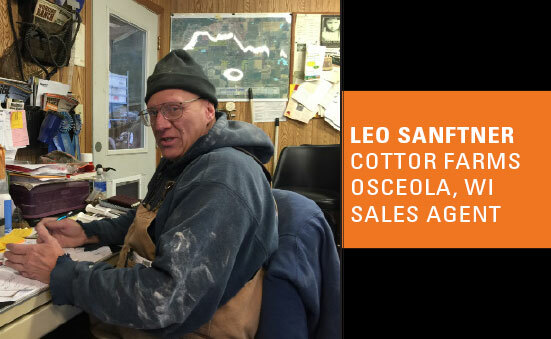 On an average day, Leo Sanftner will drive to his job at Cottor Farms in northern Wisconsin drinking a Mountain Dew and catching up on phone calls. Once in the office, he’ll oversee the mill’s manufacturing process and prescribe customized diets for his customers’ livestock operations. The rations Sanftner mixes are for species including cattle, horses, goats, sheep, hogs, rabbits and chickens. In afternoons and evenings he’ll make product deliveries. Some customers are 30-40 miles away, but through his personal show ring connections, Sanftner also delivers orders up to 200 miles away from the mill’s home base in Osceola, Wisconsin. His passion for helping breeders do well is second to none. Every day, Sanftner says he listens to his customers to learn about their unique situations. He asks them to share specifics so he can help find the right information and formulate a ration. Sanftner says he wants customers to trust him to treat their animals like his own and realize they can call on him whenever the need arises; daytime, nights or weekends. His days are long and his to-do list is lengthy, but he doesn’t mind one bit. He says he’s living his dream of helping breeders improve the health of their operations through his position at Cottor Farms. Cottor Farms is a family-owned business, owned by brothers, Rick and Dan Cottor, that raises its own crops to put through the milling process. Sanftner has known the Cottor family for two decades and was brought on as a sales agent six years ago, thanks to his show ring and livestock connections. He credits his success in both his work and in the show ring to BioZyme® products. Cottor Farms also supplies and grinds 90-percent of the feed for a nearby mill, and Sanftner says he makes sure to include Amaferm® in all of the mixes. Prior to joining Cottor Farms, Sanftner was familiar with the Sure Champ® brand as he experienced the impact of this supplement when he purchased cattle from Star Lake Herefords in Skiatook, Oklahoma, years ago. He knew the product worked on cattle and kept it as a part of his own feeding program. Sanftner can share numerous success stories of his customers using Digest More and Vita Charge®, specifically. One customer who raises chickens for ethnic groups wants his hens to have all black shiny feathers. Sanftner recommended adding Amaferm to their diet. Not only do the chickens now have the desired physical traits, but their eggs are harder with stronger yolks. He also says the farm has not had problems with chickens that stop laying nor any molt season issues in the past year. When a new customer discusses an issue with Sanftner, one of the first products he recommends is Vita Charge paste. He says he’ll give them a tube to try, and it will always trigger more business. Another testimonial Sanftner shares about the effects of Vita Charge is from a family with show hogs that last year developed a staph infection. Among other treatments, he encouraged the use of Amaferm through the products Digest More and Vita Charge. Sanftner believes these products saved one out of their four show pigs. Sanftner says the products are not a hard sell because once the breeder has experienced Amaferm in their diet, they see improvement in overall herd health. His customers’ bragging points include enhanced immune systems and minimal issues with sickness. On a personal note, Sanftner and his son T.J., raise Hereford and Red Angus cattle. They are active in the show ring and proudly pass their love for showing to Sanftner’s granddaughter, Racthel. As the fourth generation of Sanftners to show cattle, Racthel, has seen show ring success that Sanftner credits to Sure Champ and Digest More. She showed the Reserve Grand Cow-calf Pair at the Minnesota State Fair last year, and his son exhibited the Reserve Grand Get-of-Sire. Posted on February 1, 2016 June 13, 2016 Categories Business Resources, Business Topics, Dealers Like You, PassionLeave a comment on Ask Questions. Listen & Learn. Which of the following types of people would you prefer to have in greater numbers working with your business? The obvious preference would be “D.” Makes sense as mounting evidence suggests that happy, high-performing workforces correlate with greater employee satisfaction, customer loyalty, profits and productivity. One of my favorite books is All In by Adrian Gostick and Chester Elton. It says productivity is driven by the equation E+E+E. The Es stand for engaged, enabled and energized. Engaged means the employee is attached to the company and willing to put forth extra effort. Enabled means that the company environment supports the employee’s productivity and performance. Energized means that the employee feels a sense of well-being and drive. They approach work as a “career” and strive to advance and succeed. They see their work as a “calling” and find work fulfilling because it gives them feelings of meaning and purpose. Wrzesniewski then showed that people with a calling will work harder and longer simply because their jobs are rewarding. After reading all of this, the conclusion is simple: we need happy, rewarded, engaged, enabled and energized workers if we want them to be the high-performing type that result in greater productivity and profits for our businesses. But wait. According to Deloitte University Press, up to 87.7 percent of America’s workforce is not able to contribute to their full potential because they don’t have passion for their work. Less than 12.3 percent of America’s workforce possesses the attributes of worker passion. This “passion gap” is important because passionate workers are committed to continually achieving higher levels of performance. 1) Look for where your preconceived notions about the profile of a passionate worker are stopping you from identifying talent both externally and internally. Passionate workers come from all age groups, educational levels and backgrounds. 2) Recognize that passionate workers out earn and outperform their peers because of their internal drive for sustained learning and performance improvement. Take risks to cultivate these dispositions, and passionate workers will take risks for you in return. 3) Cultivation of passionate workers internally is probably the most effective way to increase the proportion of passionate workers in your organization. Organizations should evaluate their work environments to understand where they cultivate or discourage passion. Who Are Your Customer Advocates? Are you generating new business from existing customers? Customer advocates are the heart of any successful, growing business because they help send you referral leads – for free. Referrals are warm leads that convert better than leads using other marketing initiatives. Creating customer advocates and harnessing their passion to drive more referrals is a key component to all successful, growing businesses. According to a study by Wharton School of Business, 83 percent of satisfied customers are willing to refer products and services. But, only 29 percent actually do. So, let’s amp up that 29 percent and create some real growth from customers who share passion about the products and services you provide! Why is customer advocacy so important? It’s easy to understand why creating customer advocates is important in driving success. Here are four ways you can turn passionate customers into advocates. Building relationships is important in showing that you value your customers’ business. Stronger relationships increase trust between you and your potential customer advocate. When it comes to referrals, your customer’s reputation is on the line. If someone recommends your products and/or services, and you don’t deliver, guess who loses? Yes, you might take a hit, but more importantly, your customer will have their reputation damaged. Through stronger customer relationships, you can build trust with customers and earn their referral. Identifying potential customer advocates is a challenge. Customer satisfaction surveys can serve as a tool to identify advocates. How likely would you be to recommend us to your friends or colleagues? If someone would ‘go out of their way to recommend your services’, you could assume they were very satisfied with your service or product. Leverage this insight to reach out to specific customers and identify potential advocates. Asking for a referral can be intimidating. Even with all the strategies in the world, some of you will still sit back and not identify your advocates and ask them for referrals. Pick five loyal customers you feel might have some peers interested in your services. Next time you have a scheduled call or are delivering product, challenge yourself to simply ask for the referral. Turning customers into advocates doesn’t have to be hard. Studies show that customers want to send you referrals but just don’t know how. 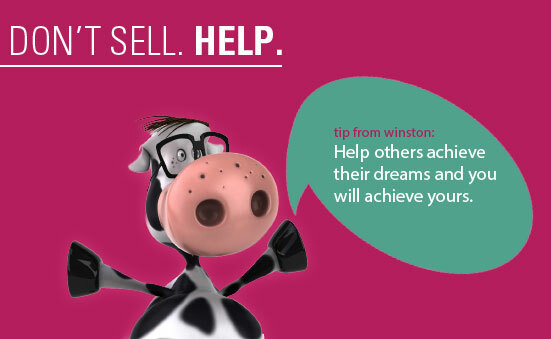 Your passion for this industry is contagious, and you have customers who want to help you grow your business. It is up to you to leverage that passion to create more opportunity! Posted on February 1, 2016 June 13, 2016 Categories 3 Keys to Better Business, Business Resources, Business Topics, Know Your Customer, PassionLeave a comment on Who Are Your Customer Advocates?